The Sincerity Collection is a step away from Justin Alexander’s modus-operandi, an exercise in traditional bridal design and demureness. This is not to say that the collection does not include modern elements – shown in the clean-cut lines, upscale embellishments and originally-placed cut-outs – but there is a constant undercurrent of refinement and sophistication, creating a set of gowns that are far more subtle than those that we have come to expect from this designer. 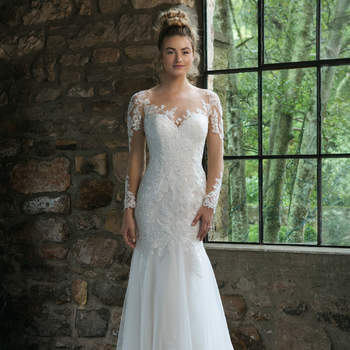 Though the range cannot be limited to catering for one specific type of bride, we think these dresses would be perfect for women who want a vintage, classic wedding – it is easy to picture these beautiful gowns amongst the backdrop of a large country house or a historical abbey! 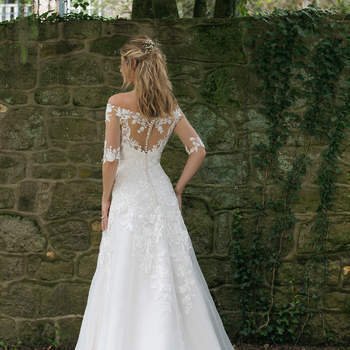 Allover lace is frequently used within the new Sincerity Collection, a celebration of romance and tradition; however, the same gowns are often adorned with embellishments such as sequins and beading, giving them a slightly more sensual edge. The garden backdrop for the photography of this collection perfectly mirrors the more relaxed style of this collection – the use of off-the-shoulder sleeves, long, light flowing tulle skirts, and floral appliqués consistently contribute to this theme throughout. 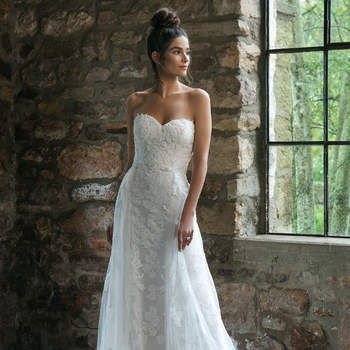 The inspiration of the natural world to this collection is evident in the style of many of the skirts – falling with a waterfall effect, dresses such as Style 44067 are delicate, and adoringly feminine. 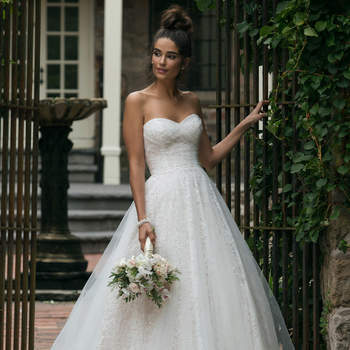 In this range, Justin Alexander Sincerity makes a welcome return to the world of traditional bridal gowns, and yet does not sacrifice its reputation for innovation and evolution. The exquisite detailing and variety in shape and pattern as seen in this collection are unique and original, and exemplify the excellence of the brand. 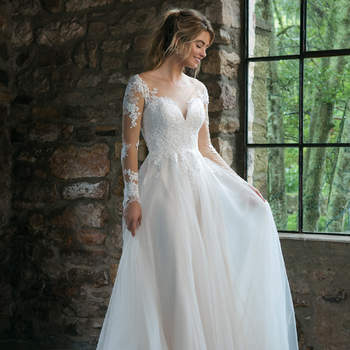 The use of tulle and layering of materials to create softer looks and more graceful, subtle gowns is done expertly – Justin Alexander here extends an olive branch to the femininity that many designers have begun to overlook. If you’re searching for a lowkey but still luxurious gown for your wedding, then here is the perfect place to begin!